Aerial images were recently released that appear to show U.S. Special Operations Forces and their equipment embedded in ISIS positions in Syria. 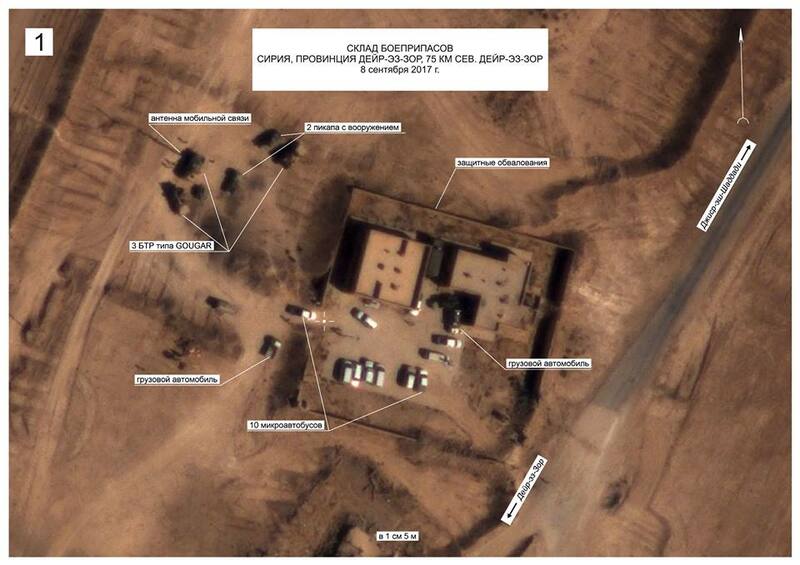 Russia’s MoD claimed the aerial photos were taken on Sept. 8-12 over ISIS locations north of Deir er-Zor. The equipment from American Special Operations Forces came in the form of “a large number” of American Hummer armored vehicles. The statement noted that even though the presence of the Special Operations Forces would indicate that they were aware of the terrorist group’s presence in the area, its actions suggest that “the US troops feel safe in terrorist controlled regions,” because there were no calls for an organized screening patrol and there is no evidence of US-led coalition airstrikes to drive out the militants. 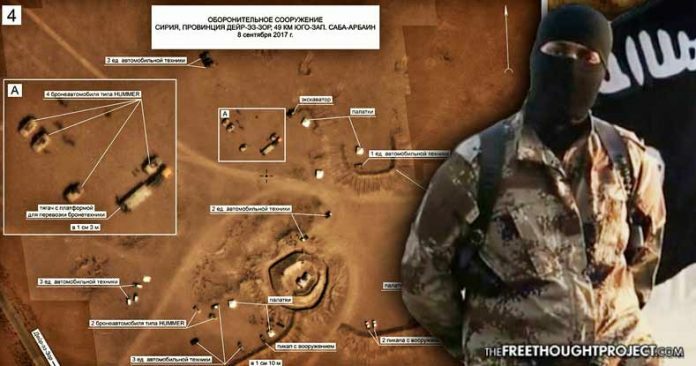 Both the statement and the aerial images from Russia’s Ministry of Defense serve as a reminder that the lines are often blurred when it comes to the difference between the Syrian Democratic Forces (which openly receive U.S. funding) and ISIS militants (which have mysteriously received help from the U.S. on a number of occasions). Russian President Putin alluded to the idea in 2014, when he called out the Obama Administration for arming and training “the Syrians that were fighting Assad,” and then noted that both the “moderate rebels” and the “ISIS militants” are mercenaries, often fighting for the side that pays them the largest salary. There are also a number of circumstances in which U.S. equipment and funding just happened to benefit the Islamic State. In October 2014, the Pentagon admitted that the U.S. airdropped weapons to ISIS, and blamed “the wind” for the fact that those weapons were not delivered to Kurdish fighters in Kobani. In October 2016, the Pentagon was caught paying a PR firm $540 million to create fake terrorist videos—much like the ones purported to show ISIS militants beheading innocent civilians. Then in a 2016 audit, the Department of Defense admitted that it could not account for $1 billion in weapons and equipment that was meant for forces in Syria, but likely ended up in the hands of ISIS. In 2017, allegations that U.S. Army Special Operations Forces units were found embedded with ISIS militants are no surprise, given the United States’ history of being in the right place at the right time to protect the group from being defeated. As the reports become more and more obvious, it raises the question of whether the U.S. government will ever admit its true role in the conflict.